Every Sunday night our public TV station shows “All Creatures Great and Small,” a show so deeply loved by my mother that it still makes me tear up to watch it almost eighteen years after her death. She watched the first run and then the reruns, faithfully. The first time I heard the theme music after she died, I sat down on my kitchen floor and wept. But tonight I saw their young faces, James’ and Tristan’s and Helen’s, and I wanted to hear their voices, and once they started talking to me, and I could see dogs wandering around on the set, I had to keep watching. It was the last episode of the original run of the show, first aired in 1980, and World War II had begun, and in between attempts to heal various ailments of dogs and a pony, Siegfried (not so young as the rest) and James are preparing to go off and join the military. The two of them reminisce, giving each other the credit for their successful practice together. And I think of the time that has passed, since the show was made, since my mother died. I think of how I didn’t know anything about Wensleydale then, and what I was like in college in 1980, and how little I knew about myself and how much I loved some boy I thought I would marry and how wrong I was about that, among other things. And I think of 1993, and what I expected from life and the people around me, and how wrong I was about those things, too. And then I wonder what I will think when I look back on this time, wonder if I will feel sorry for this me, or give her credit for having handled things well or wonder what in the world she was thinking. I wonder if I’ll feel like there was any forward motion. All the cheese in Wensleydale…well, at least now I know what James meant, thanks to the Wallace and Gromit fans I’ve raised. what a fantastic post thank you. This post was awesome at so many levels. 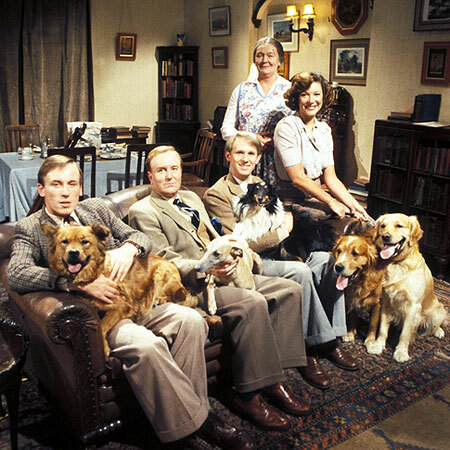 I have watched all of the All Creatures episodes at one time or another. Watched a bunch with my girls when they were younger hoping they would not notice the abundant drinking and swearing and just notice the scenery and the animals. And also am a big Wallace and Gromit fan.But more than that, I know how raw I feel the 12 hours after I preach and so I understood that part too.Thank you.